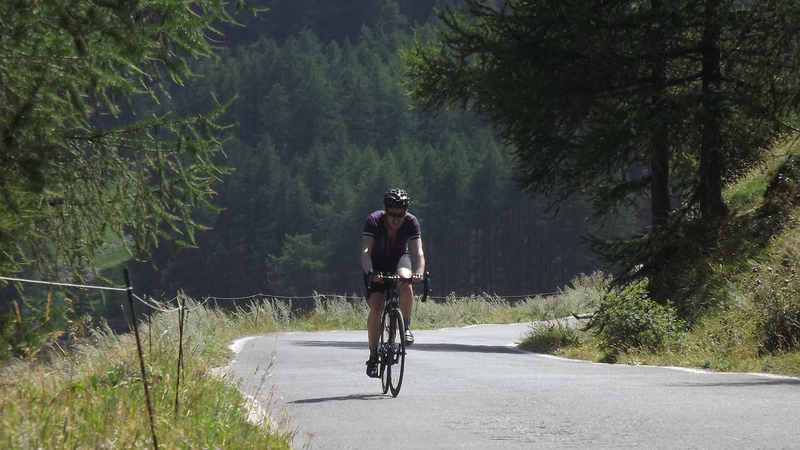 Last week on the Alpe d’Huez to Italy tour, Café du Cycliste shorts/jerseys were worn by Phil & I everyday. From freezing rain on the Col du Galibier to >30°C on the Colle di Sestriere, the jerseys and shorts performed impeccably. We rode for more than 5 hours each day and so clothing choice was vital. The jerseys are made from the finest quality Italian fabrics and so keep your both warm on descents and cool on the ascents. The bibshorts are understated yet superbly comfortable. They feature a “cytech” pad – renowned as the best on the market. The riding was made so much easier and enjoyable by not having to worry about being too warm or too cold!